Obituary for Mary Ann Theresa (Oros) Gregson | Doherty Funeral Homes, Inc.
Gregson, Mary Ann Theresa, 82, of Wilmington, DE, died suddenly at home, Thursday Jan. 31, 2019. Born in Wilmington to the late B. Pauline Oros (Ziemienski) and John J. Oros, she graduated in 1955 from St. Elizabeth’s High School. She is preceded in death by her husband Frank J. Gregson, Sr. and her son F. James “Jimmy” Gregson, Jr.
Married in 1956 to Frank, they settled in a big home near Conrad High School and she helped him in his accounting business. 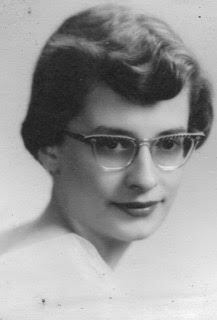 After his sudden death in 1963, she devoted the rest of her life to her children and family, working outside the home as an administrative assistant with various employers, including the University of Delaware, Widener University, and DuPont-Merck. When she wasn’t taxiing a child to the next activity, volunteering for the PTA, band boosters, and Boy Scouts, you could find her knitting, crocheting, and doing needlework. Mary Ann completed her crossword puzzles in ink, was a voracious reader, and loved to feed the birds in her yard. She hosted countless family BBQs and events in her big yard, and loved to cook and entertain during every holiday. Once each of her children had graduated from college with advanced degrees and started families, she turned her attention to her grandchildren, supporting their activities and conducting her annual Summer Camp Mommom. Mary Ann is survived by her children, Karen M. Gregson Hughes (Pete Hughes) of Hebron, MD, Richard J. Gregson (Susan) of Baltimore, MD, and Deborah A. Gregson (Paula O’Gilvie) of Boston, MA. She also is survived by grandchildren, Gabriella Coloyan of Ann Arbor, MI, Beata Coloyan of Boston, MA, Patrick Gregson of Downington, PA, Scott Hughes (Ashley) of Salisbury, MD, Matthew Gregson of Downingtown, PA, Eugenie “Genie” Hughes of Charlottsville, VA, Lee James Gregson O’Gilvie and Emelia Gregson O’Gilvie, both of Boston, MA; and great granddaughter, McKenzie Hughes of Salisbury, MD. She leaves behind her older brother, John F. Oros (Carolyn) of Traverse City, MI and younger sister, Dorothy Turner (Walter) of The Villages, FL. Mary Ann also is survived by her special nephew, David Turner (Becky), who she loved like a son, and their grandchildren Ivan and Alan. She leaves behind countless other nephews, nieces, and other relatives. The viewing will be held at Doherty Funeral Home, 3200 Limestone Road, Thursday, February 7 from 11:00 am to Noon, followed by a funeral service at the same location. Interment will follow in Cathedral Cemetery. In lieu of flowers, the family suggests donations to the charity of your choice in Mary Ann’s name.